If you're like me, you enjoy raw carrots with ranch dressing. 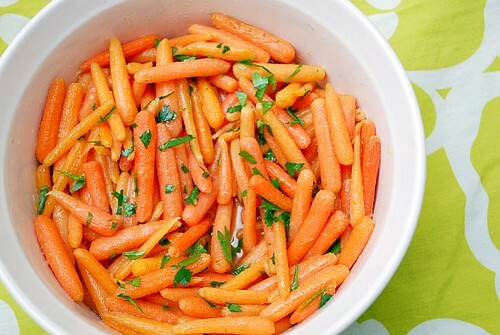 But another flavor profile that works well with carrots is honey and ginger. The honey highlights the natural sweetness of carrots and a pinch of ground ginger add a little bite. 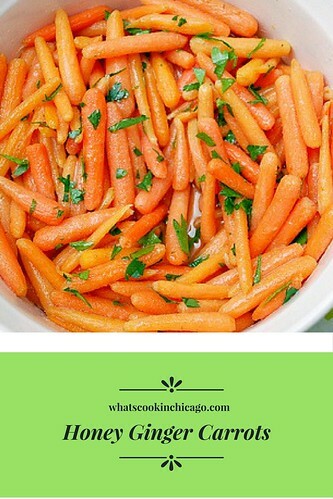 This is a side dish that adds a pop of color to your dinner table and it won't be hard to encourage even the pickiest vegetable eaters to enjoy them! Bring a pot of water to a boil. Add carrots and cook until tender but still firm, about 5 minutes. Drain. In a large skillet over low heat, melt butter with honey. Stir in ground ginger and lemon juice. Stir in carrots and simmer until heated through.